Now that fall has arrived, it’s time to get your gutters cleaned to prevent water damage to your home’s interior and exterior. Clogged gutters can’t flush rainwater away from your house, which makes it more likely that moisture will seep through your roof or even collect in your basement. When choosing a professional gutter cleaning service, make sure you compare your options so you can select an expert that knows the best methods. The following three strategies will give you the best cleaning. Companies that automatically use pressure washers on your gutters will blow debris all over your yard. All too often, they never think to clean up the mess they made. Look for a company that starts the cleaning process by hand. 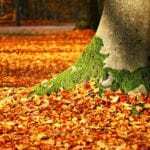 Removing leaves, sticks, and other items by hand provides a clearer path for water and doesn’t force you to clean up a mess of half-rotten leaves. Once debris has been removed from your gutters, professionals can use pressure washers to clean out stubborn dirt. Don’t make the mistake of thinking that all pressure washers work the same. Some companies use the intense pressure that can damage your gutters and roof. 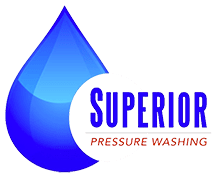 Choose a company like Superior Pressure Washing that uses a low-pressure soft washing. It’s a safer option for your home. While you have professionals at your home, have them wash your roof and house, too. Again, you want a company that uses soft washing. Intense pressure washing could create leaks in your roof or blow off shingles. Too much pressure could also damage your siding. Depending on whether algae or mold has started growing on your roof and siding, soft washing may also use gentle cleansers. As long as your home cleaner uses soft washing methods, the cleansers won’t include harsh chemicals that could hurt your roof, siding, or gutters. If you live in the Bethesda region, contact Superior Pressure Washing to learn more about your gutter cleaning options and get a free estimate. The professional services that you get from Superior Pressure Washing will make your gutters more effective and protect your home from damage.